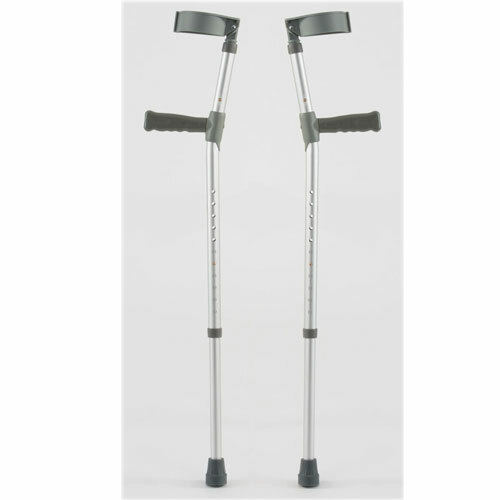 The Single Adjustable Crutches are sold as a pair. They are adjustable in height and made from lightweight aluminium. They also have slip resistant rubber ferrules fitted. The shaft is made from sturdy aluminium but is still lightweight. The shaft height can be easily adjusted by push button to suit each user. The crutch height adjusts in increments of 2.5cm (1"). The handgrip is made from PVC which is also latex free.